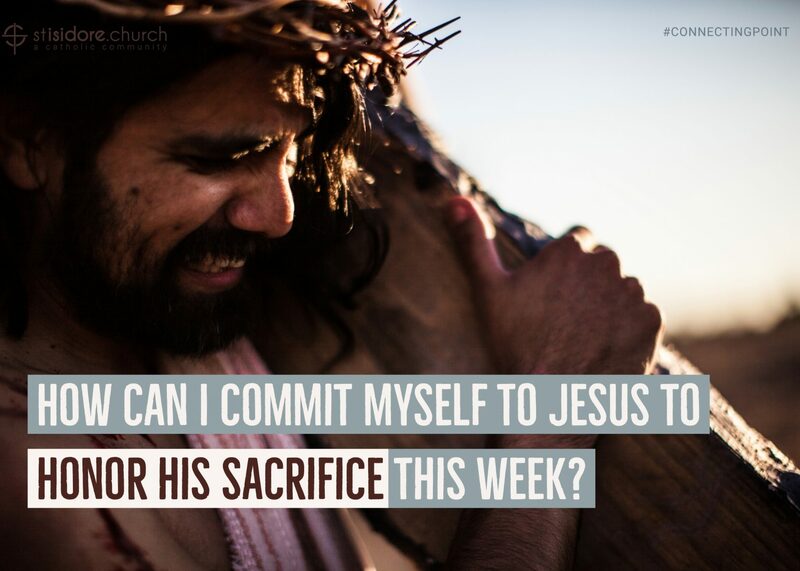 How can I commit myself to Jesus to honor his sacrifice this week? There are several opportunities for you to honor all Christ has done for us this week. Sacred Triduum includes three liturgies that offer opportunities for you to sacrifice a bit of time this Holy Week to honor Christ. Who are the people who need my help the most? Am I willing to get down on my hands and knees to help someone who is unable to help themselves? What does the sacrament of Holy Eucharist mean to me? One hour of reflective music, scripture prayer with each Station portrayed in still-life by the youth of our community. We remember His sacrifice. Includes prayers for the universal church throughout the world and even leaders of other faiths and denominations. We also offer prayers for leaders in public office and for all those who are suffering or facing times of great difficulty. These prayers recognize how we are all children of God and that we should pray for one another, including those whose faith traditions are different from our own. What does the death of Jesus mean to me? How do I show respect for people of other faith traditions? Sometimes known as the “Granddaddy of all Catholic Liturgies,” we celebrate our story from Creation through the life, death, and resurrection of Jesus and how God is ever present and still working in our lives today. We also welcome new members into the church in the Sacraments of Initiation including Baptism, First Holy Eucharist and Confirmation. It’s the biggest Catholic Liturgical Celebration of the Year! How has God been working in my life? What things in my life are in need of a Resurrection of sorts?